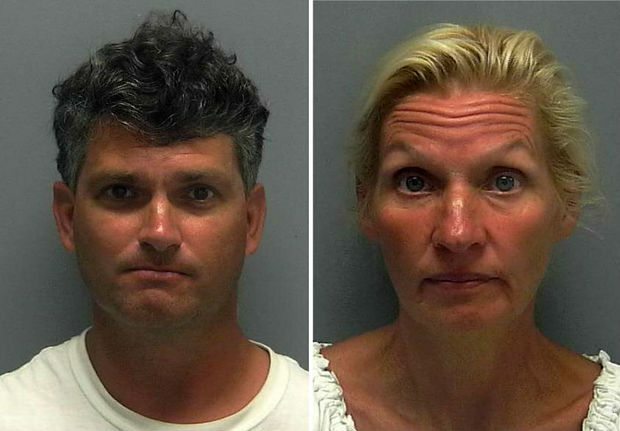 A former North Alabama couple was arrested in Florida on Monday amid allegations that they were physically and sexually abusing many of the 10 foster and adopted children in their care. Daniel Wayne Spurgeon, 47, of Cape Coral is charged with one count of sexual assault, four counts of lewd and lascivious behavior and 10 counts of aggravated child abuse, according to the Lee County (Florida) Sheriff’s Office. His wife, 52-year-old Jenise Rae Spurgeon is charged with 10 counts of aggravated child abuse. None of the adopted or foster children were from Florida, Florida’s Department of Children and Families (DCF) told ABC 7 out of Fort Myers. Alabama court records indicate that the couple previously lived in Florence. “The foster and adopted children from Alabama are in the process of being returned to their home state. Local child protective services in Alabama will be handling appropriate placement and services for the children,” DCF spokeswoman Natalie Harrell told the television station. The five foster children were in the process of being adopted, so they were allowed to move to Florida with the couple. ABC 7 reports that the allegations came out when police responded to a KFC in Cape Coral, where they found three children aged 16, 13 and 13 intoxicated. One of the teenagers told officers that Daniel Spurgeon had provided them with hard liquor mixed with Mountain Dew and beer, the news station reports. The teens were taken to a local hospital, where they told officers and emergency personnel that Spurgeon had been physically and sexually abusing many of the adopted and foster children – eight girls and two boys, ages 8 through 16 – living in the Spurgeon home. Spurgeon and his wife also have three biological children, two boys and a girl, the news station reports. Florida’s Department of Children and Families removed all of the adopted and foster children from the home, ABC 7 reports. Since their removal, at least four of the girls have made sexual abuse allegations. All of the adopted and foster children claim some sort of abuse. 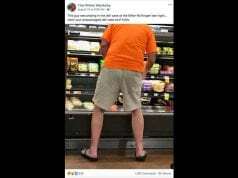 The news station reports that the children said they were treated differently from the couple’s biological children, including being fed separately and not getting as much food. They also claim they were punished by being forced to swim laps in a pool or a nearby canal with their clothes on, by being forced into cold showers and by being beaten with spatulas or being thrown into walls. They were also forced to do pushups with either Daniel or Jenise Spurgeon’s foot on their backs, and three of the older girls said they were forced to sleep outside. Lee County (Florida) Jail records show that Jenise Spurgeon has since been released on $300,000 bond. Daniel Spurgeon remains in custody in lieu of nearly $500,000 bond.